I am still very fond of one of my oldest graphic experiments – the Fast Faust poster. 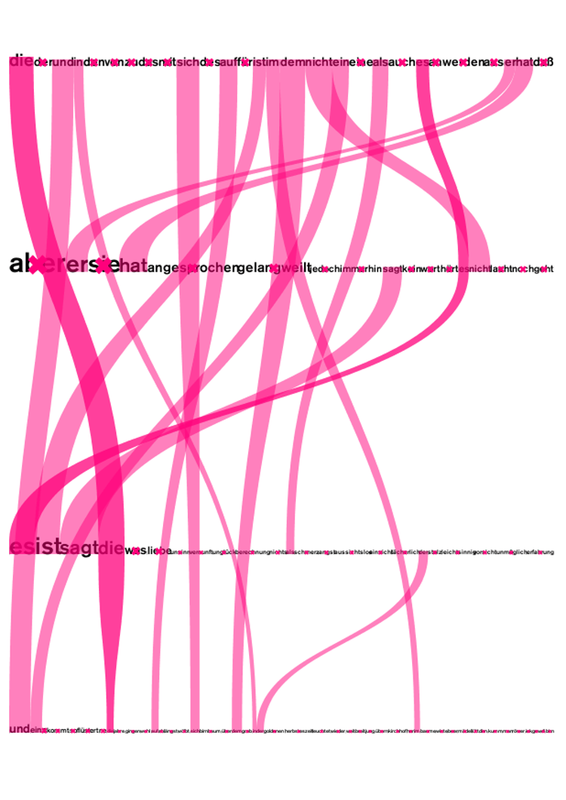 So in 2008, I took up the basic concept behind the poster and used it for VisualPoetry08. 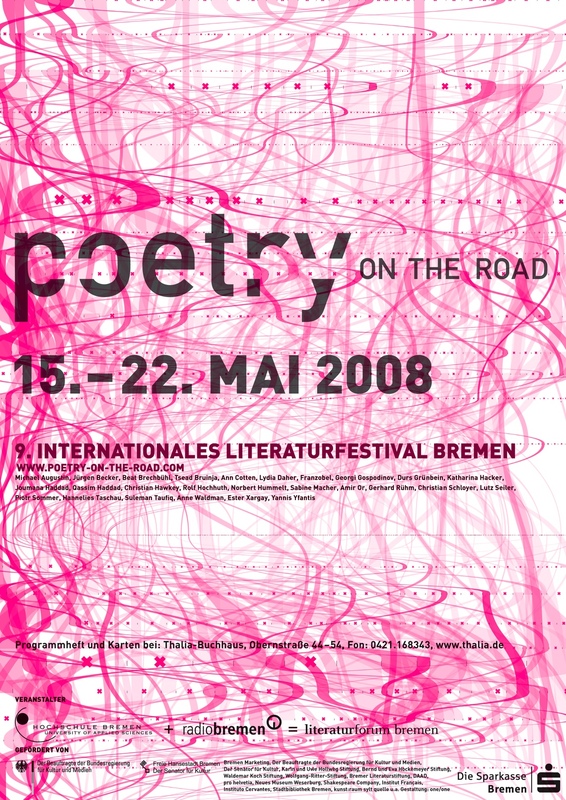 Visually, Faust and Poetry08 look quite different. However, conceptually they are quite close. The application sorts scales all words in a poem based on their frequency in the text and places them on a line. The most frequent words are therefore relatively large and placed on the left hand side of the line. Concept of the key visual. Words are ordered by frequency. If several poems contain the same words, they are connected by a red curve. 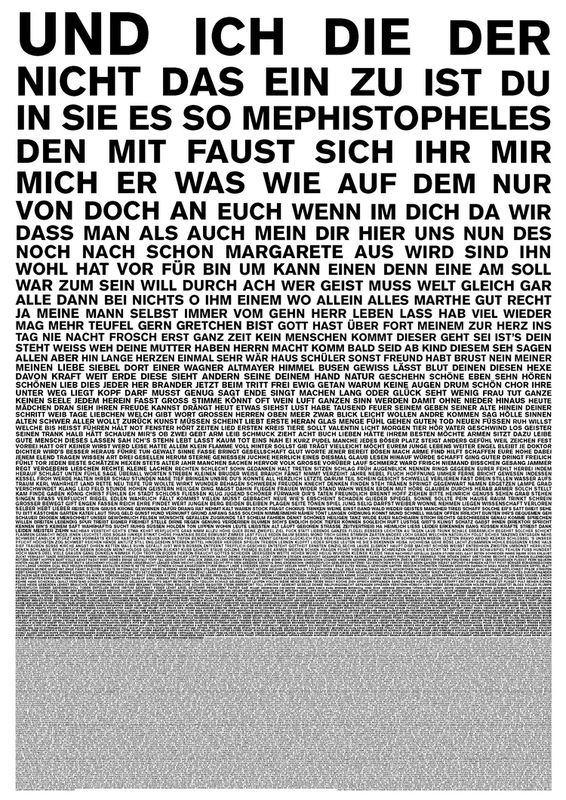 However, while the Fast Faust poster is based on the entire Faust by Goethe, VisualPoetry08 treats every poem seperatly. Each word sequence is stacked on the previous one. So it is possible to compare the word frequencies. So in a second step, all words that appear in several poems are connected by a red line. The width of the line is related to the length of the word in the regarding sequence. 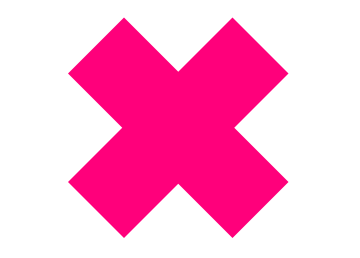 Words that only appear once are marked with an X. 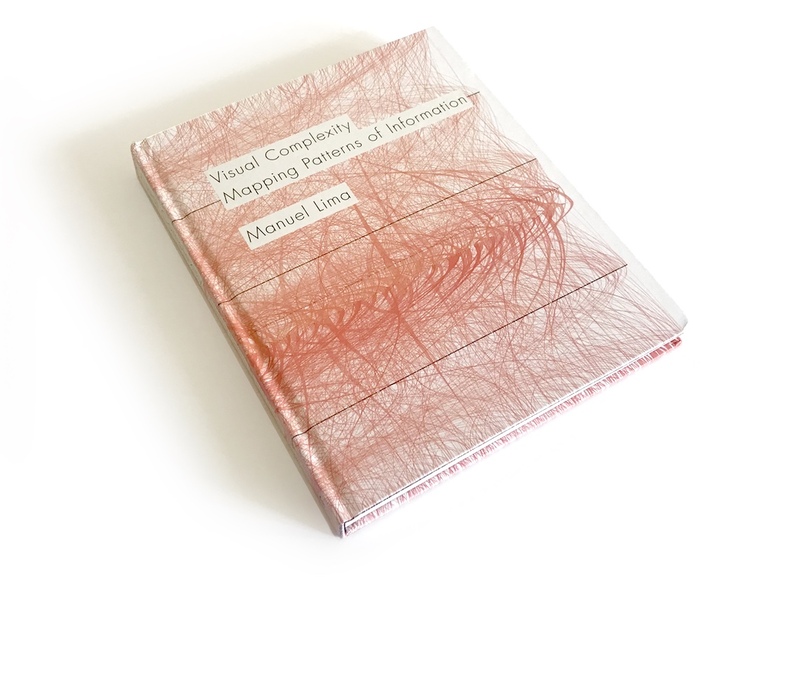 Great praise for Poetry08: Manuel Lima used it for the creation of the cover of his book “Visual Complexity”!